Over the years of being a Yoga teacher, Doula, and daughter of one of the most amazing and knowledgable women I know when it comes to holistic health, I have spent a great deal of time advising women on where to go for this or that. Here is the master list (including prenatal and postpartum services) for the Philadelphia area! 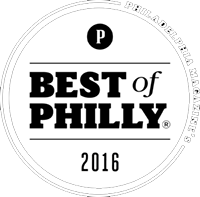 ACUPUNCTURE: I have been devoted to Lauren Buckley at South Philly Community Acupuncture ever since she stuck her first needle in me, but I know that all the acupuncturists there are really wonderful. I’ve turned handfuls of peeps onto this place. They can treat any issue male or female including fertility issues and can offer prenatal and postpartum care. Their sliding scale truly makes it best deal in town. Private Acupuncture: These two women are truly awesome! Caroline Ashurst at Restorative Harmony and Kara Szumski and Healing With Ease. FACIAL: Mary at Advanced Skincare Solutions in Fishtown works miracles on my skin. She also offers a Prenatal Facial. What’s better than that? FAMILY CHIROPRACTOR: Justin Ohm, D.C. treats me, some of our teachers, many of my prenatal yogis, doula clients, their husbands…everyone! Even if you don’t have insurance, he will work with you. Justin’s office in Philadelphia is located in the South Philly Community Acupuncture office and you can also find him here. ENERGY WORK & INTUITIVE HEALING: Heather Shearn has returned to Philadelphia from L.A. and we are so glad she did! Heather gave me an unforgettable healing session including reiki, chakra clearing with crystals & essential oils, and guided some truly incredible breakthroughs. She is wonderfully talented…check her out! HOLISTIC GYNOCOLOGY: I have been going to Iris Wolfson since I was in high school. She works out of her home in Mt. Airy and she is THE woman if you want a more personal and less clinical experience when going to the gynecologist. Find her at Alternative Healthcare for Women. She even delivered one of our oldest friends at home in 1979! MASSAGE: We’re so lucky that you can find the talented Sarah Hummel right here at Mama’s! You can read all about her in our massage section here or on her own website, Sutra Massage. MAYA ABDOMINAL MASSAGE: Penny, the owner of Eviama Life Spa, is an incredible healer and one of the few women in the city offering Maya Massage. Amazing for bad menstrual cramps, fertility, and digestion, this is a truly wonderful treatment. MENTAL HEALTH & SELF-CARE: Motherhood is complicated. Whether you struggle with fertility issues, pregnancy loss, or maternal mood disorders, Heidi Lengel at Fulheart Family Support offers counseling, music therapy, and doula services to help you sort out the challenges you’re facing. You are not alone: therapeutic support before conception, during pregnancy, through birth, and during life with baby are a phone call away. 504-434-BABY. Pelvic Floor Health: Our amazing teacher Debbie Brownstein, also a Certified Pelvic Floor Yoga therapist, will now be offering private sessions by appointment to help you find the path toward improving your pelvic floor health. Many pelvic floor disorders can be remedied by less invasive methods than surgery, medications and botox injections. Debbie uses her time with you to address your needs and greatest concerns. Contact her to schedule a private session at mylovelightyoga@gmail.com. PHYSICAL THERAPY: Hina Sheth at Rebalance Physical Fitness works with everyone – but she is also the person we refer to postpartum mama’s who are really having a hard time getting back to their day to day movements and routines. If you are feeling major discomfort in your back, hips, etc., call Hina! REIKI: Our beloved yoga teacher Betty Kim (bettykimchi@gmail.com) and Pamela Hipp (shiningbrightly@att.net) are both wonderful and offering sessions at MWJ and beyond. We believe that Reiki may be better than therapy. HOME BIRTH MIDWIVES: Check out Karen Webster, Christy Santoro, and Kathy Hindle for the best care in the area. PLACENTA ENCAPSULATION: Caroline Ashurst at Restorative Harmony , Amanda Jacobs (amanda.r.jacobs@gmail.com), and Marcella DeRosa will get you all set up with your very own placenta pills. Who’da thought?! PHOTOGRAPHY: Birth, Belly, and Baby Photography: Tammy Bradshaw is a friend of ours and such a pleasure to work with! She is the first person we trusted to photograph MWJ and we can’t say enough lovely things about her. Also, Rachel Utain-Evans is one of our wonderful MWJ instructors and is also very talented behind the camera. LACTATION CONSULTANT: Linda Derbyshire came highly recommended to us by two of our close and trusted Mama friends. Birth Education and Doula Trainings: Elizabeth Varaso is teaching our extensive five week Child Birth Education. Check all our upcoming dates here. Also, Big ups to Beth Goldberg! This woman inspired and trained me to become a Doula which led me down the path to opening Mama’s Wellness Joint. Bless her! She is the go to woman for Birth Arts International Birth and Postpartum Doula trainings. HOME WORKOUT: Rebounding! Way before it was “in,” Paige’s Mama Bev has been rebounding (jumping on a home trampoline) for over 15 years on the same Needak rebounder. Rebounding keeps you young and healthy by detoxing, increasing muscle mass, increasing lymphatic and blood circulation, and more! Known to be twice as effective as running without the stress on your joints. Receive $40 toward an hour holistic health consultation with Mama Bev RN, when you order your rebounder HERE. COOKING EDUCATION & SMALL EVENT CATERING: The fabulous Shayna Marmar of Honeypie Cooking offers cooking classes and catering for children, families, and small events. Find her at MWJ with her amazing and interactive workshop: Family Style!